This soup is so easy to make and tastes great, too. The recipes only makes a couple of servings, which can also be a bonus. I did a class this morning on cooking for one or two. If you have a smaller household, making a huge pot of soup can be a problem. I love homemade soup, but after a few days even the best soup can get boring. This recipe makes about 3 cups of soup, just enough for a couple of servings. 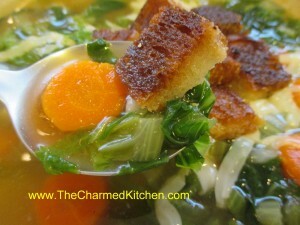 There are only a few ingredients: carrots, onion, stock, milk, nutmeg and green onions. Plus salt and pepper, to taste. I like to add a little hot sauce, too. You could add some fresh herbs, if you like. I sometimes add curry powder. Start to finish the soup takes about 20 minutes to make, so nice when you are pressed for time. 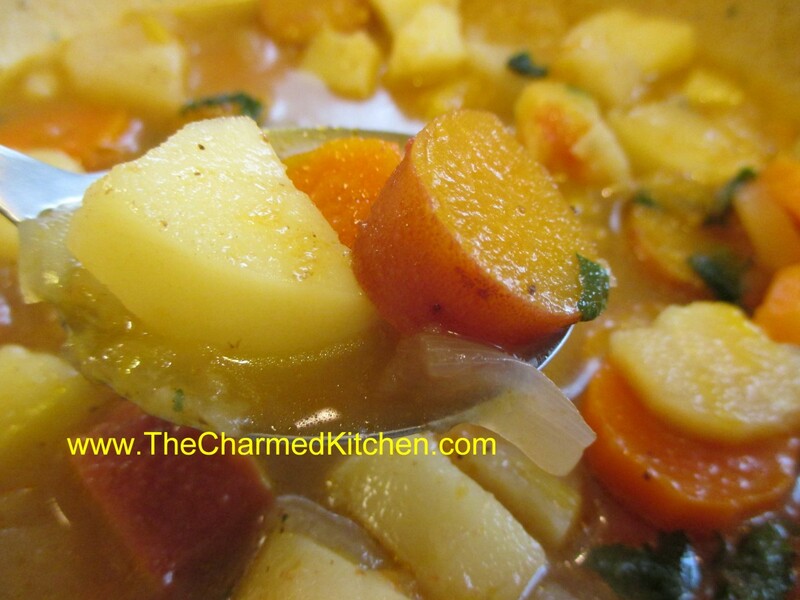 In saucepan combine carrots with onion and broth and simmer, covered until vegetables are tender, about 15 minutes. Puree mixture and return to pan. Add remaining ingredients and heat through. 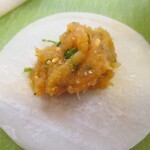 Serve with chives or green onions sprinkled on top, if desired. Serves 2. My friend Kim and I used to laugh about the covers of all the December issues of women’s magazine. They always declared it was “The Best Christmas Issue Ever!! !” When I made this soup earlier today I knew it was extra good. A friend was over and I gave him a bowl to taste. 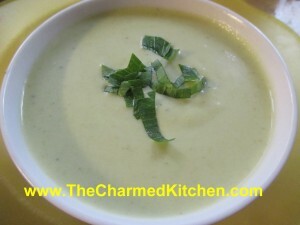 He looked at me and said, wait for it…”This is the best cauliflower soup you ever made.” I didn’t have a name for the soup yet so I decided to call it My Best Ever Cauliflower Soup . The soup lives up to its name. The soup itself has plenty of flavor, even without the toppings. With the toppings it becomes something very special. 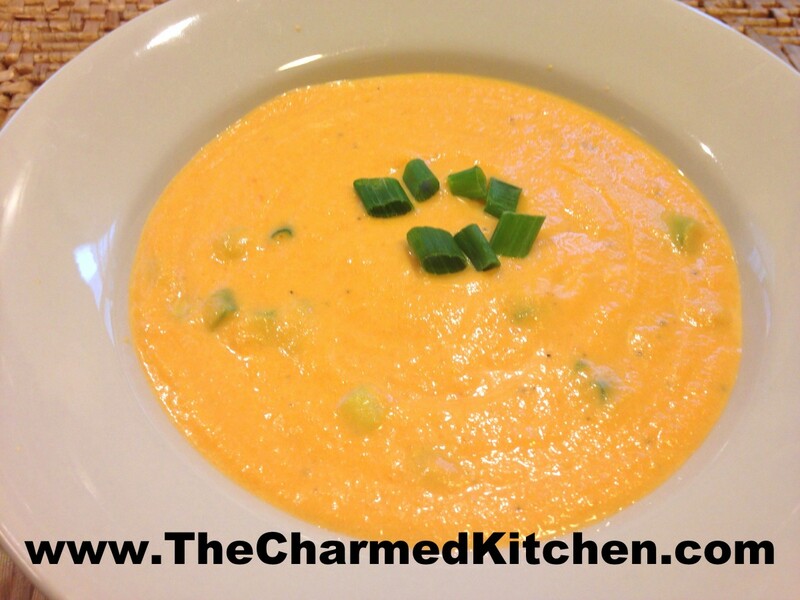 If you are looking for a really good and easy soup recipe- I suggest you give this one a try. Heat oil in soup pot and cook onion until tender. Add cauliflower and cook about 5 minutes longer. Add remaining ingredients and cook, uncovered, until vegetables are very tender, about 30 minutes. While soup is cooking make mushroom topping. 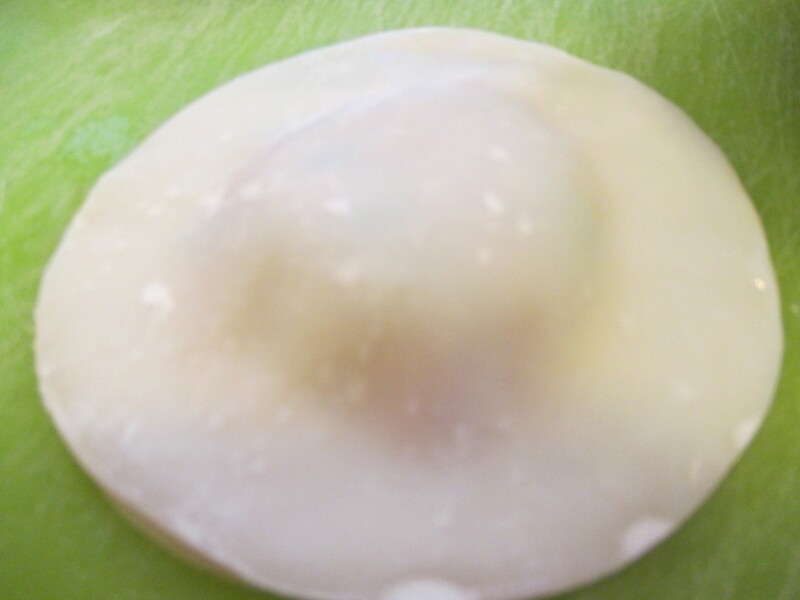 Heat oil in small skillet and cook onion until golden. Add mushrooms and cook until mushrooms are almost caramelized, about 10 minutes. Add parsley and cook a few more minutes. Set aside until ready to use. 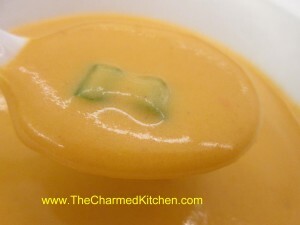 When soup is done, puree until smooth. To serve soup ladle some hot soup into a bowl. Top with some mushroom mixture and add a few green onions, cashews and a drizzle of sesame oil. Serves 6. When the air is chilly I am always in the mood for a nice hot bowl of homemade soup. This soup came about as I rummaged through the veggie bin. I had a number of root vegetables so I decided to make them the focal point. I happened to have homemade turkey stock, but you could easily swap it out for chicken stock or vegetable stock as well. So here it it- the recipe that was created based on what I happened to have on hand. The end result was really good. 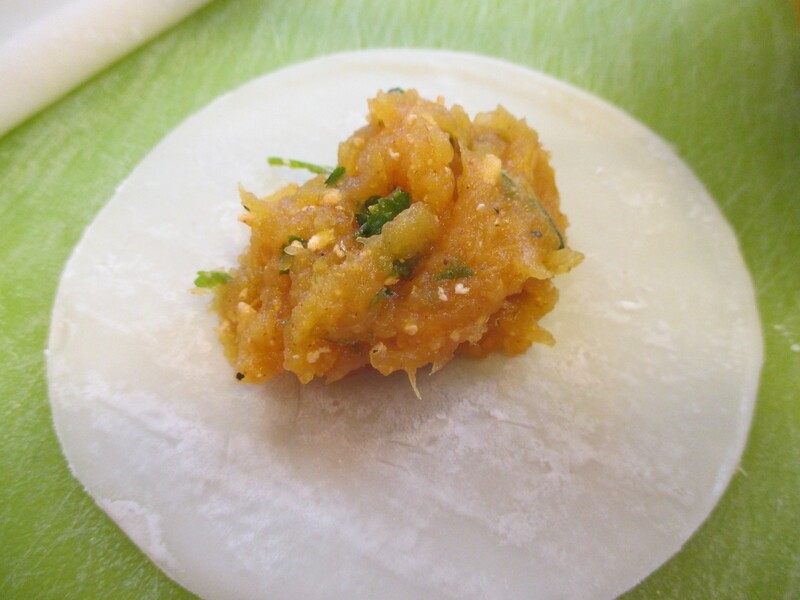 In soup pot heat the oil and cook the onion until light golden. Add the carrots and parsnips and cook until they are light golden, too. Add the stock, turnips, potatoes and tomatoes and bring to a boil. 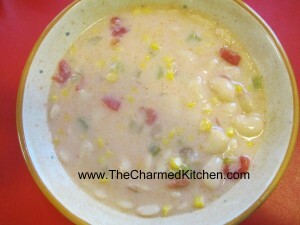 reduce heat and simmer, covered, until veggies are tender, about 20-30 minutes. Add sweet potatoes and remaining ingredients and cook until sweet potatoes are tender, about 10-15 minutes. Adjust seasonings and serve. Serves 6-8. I was asked recently for my recipe for chicken noodle soup. I teach several different classes on making soup but it wasn’t in there. That seemed odd. I mean with all the recipes I share you would think I would have posted it somewhere by now. I think the truth is that there really isn’t a recipe. Well, not a recipe I can share in the normal sense. I can guesstimate the amounts of this and that but every batch is a little different. That is part of the fun. The basic ingredients are the same, good stock, cubed chicken, carrots, celery and of course, noodles. 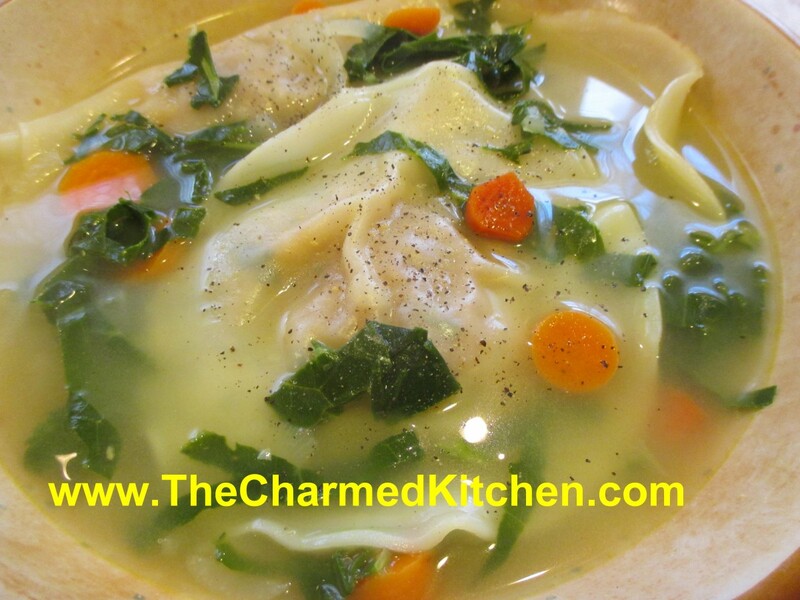 There is one pretty important thing about chicken noodle soup you should know- don’t cook the noodles in the soup. I know that sounds wrong. Trust me, if you cook your noodles in your soup you’ll end up with a goopy mess. Cook your noodles separately and add them when serving the soup. This does two good things. It keeps the noodles from getting overcooked and it lets each person add just the amount of noodles they like. Let’s face it some people just like a few noodles and others prefer a lot. This way each person gets their soup the way they like it. So for directions here is what I do. I start with homemade chicken stock. Since I made the stock I’ll have the chicken I used to make it. I cube up some of the meat and add it to the stock. I also add some sliced carrots and sliced celery and let them simmer in the soup until tender. I sometimes add other veggies. Green beans or maybe a zucchini. I don’t get too crazy with the veggies here or it will become vegetable soup. 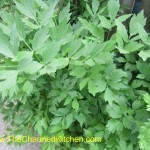 I almost always remember to add some parsley. I love fresh ground pepper, too. Don’t put too much stuff in – you will be adding noodles after all. I cook my noodles and when the soup is ready to serve I warm them up a little- often just in a bowl in the microwave. That way they won’t cool down your soup. For little kids leave the noodles cold- they normally like their soup a little cooler. I ladle the soup into bowls and put the noodles on the table so everybody can add their own. Seems to work out pretty well. My Mother was so funny when eating this soup. She had to have it come out “even”. She’d be nearly finished and realized she was out of noodles- so she would add a few. But then she needed more broth so she would add more of that. This went on several times. At the end she always insisted she only had one bowl. 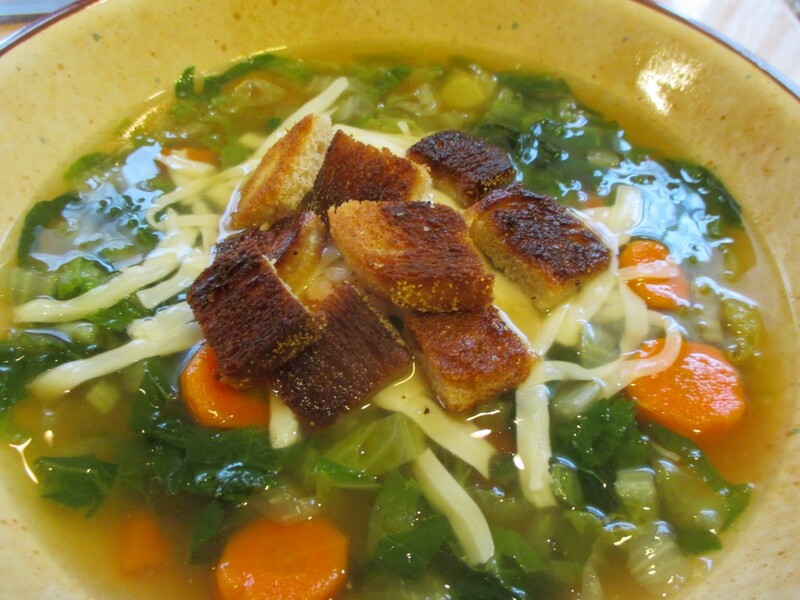 This hearty soup is easy to make and is really a meal in itself. 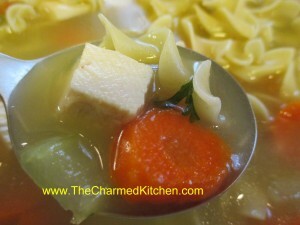 I made the meatless version by using a vegetable stock but you could use chicken stock, if you prefer. I used tomatoes I canned but store bought canned tomatoes would be fine, too. Sauté onions and celery in oil until tender. Stir in flour until smooth and add milk, stirring to keep lumps from forming. Stir over medium heat until milk has thickened and begins to boil. Stir constantly as mixture simmers for an additional minute or two. Add remaining ingredients, except cheese and bring up to a simmer. Adjust seasonings. Ladle into bowls and top with cheese, if desired. Serves 8-10. Note: You can use almond, rice or soy milk in place of the dairy milk, if you like. With a cold spell here I have been making peanut butter sandwiches for the squirrels. I know it sounds silly, but it keeps them out of the bird feeders. Spreading the peanut butter on the bread got me to thinking about peanut soup. It’s a simple soup with a creamy texture and just a hint of heat. You could make it spicier, of course. 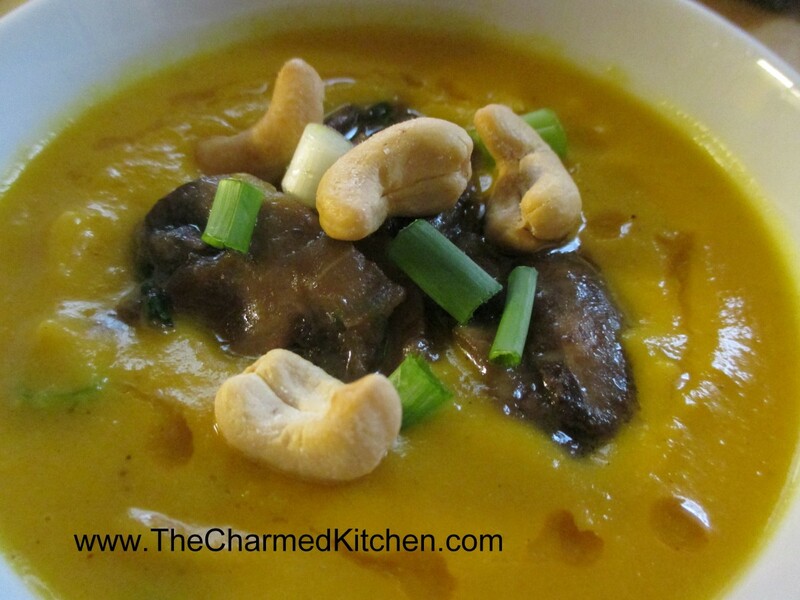 If your only experience with eating peanut butter is on a sandwich or in cookies you might be surprised at just how good this soup tastes. I have made it with almond butter, but still prefer it made with peanut butter. 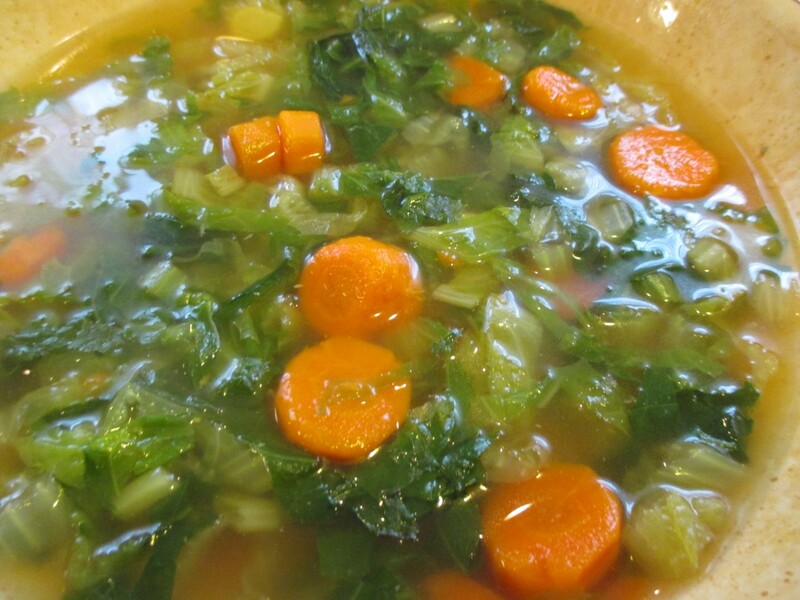 This is a vegetarian recipe, but you could use chicken stock, if you like. It freezes well, too. With really cold weather I can’t seem to get enough soup. I have been known to have a bowl of soup for breakfast. Why not? 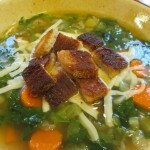 This soup is one I have been making for a long time. While the recipe calls for either smoked pork hocks or smoked turkey this would be a great place to use that ham bone leftover from the holidays. 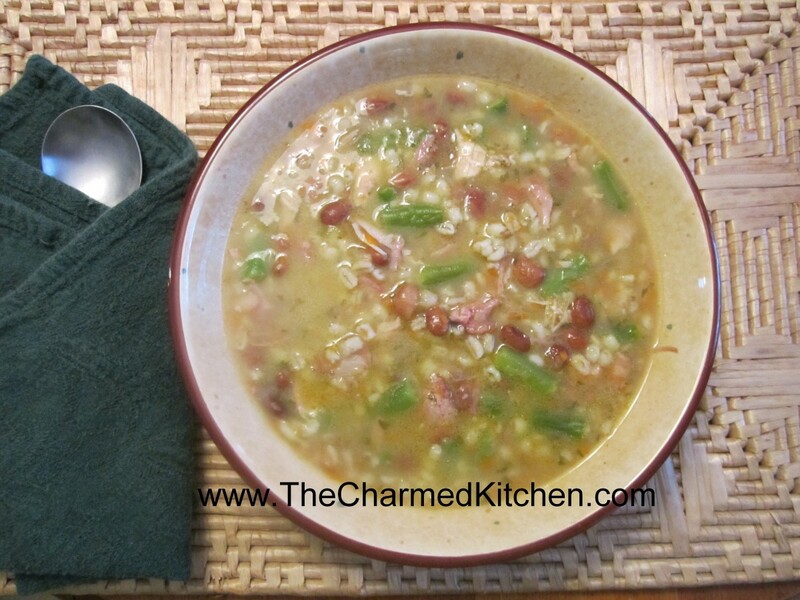 The combination of smoky flavor, pinto beans, barley and green beans works so well together. This is one of those soups that tastes even better the next day. It freezes well, too. Place beans in saucepan with water and boil 5 minutes. Set aside to soak 1 hour. Drain. Meanwhile cook vegetables and garlic in oil in large kettle. Add meats and stocks and bring to a boil. Stir in pinto beans. Cover and simmer on top of the stove for 1 hour. Or, if pan is ovenproof place in 350-degree oven and cook 1 hour. 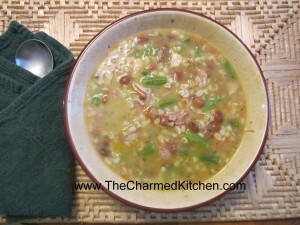 Stir in barley and beans and cook 1 hour more. Remove from heat and remove meat. Remove any meat from bones, shred and return to soup. 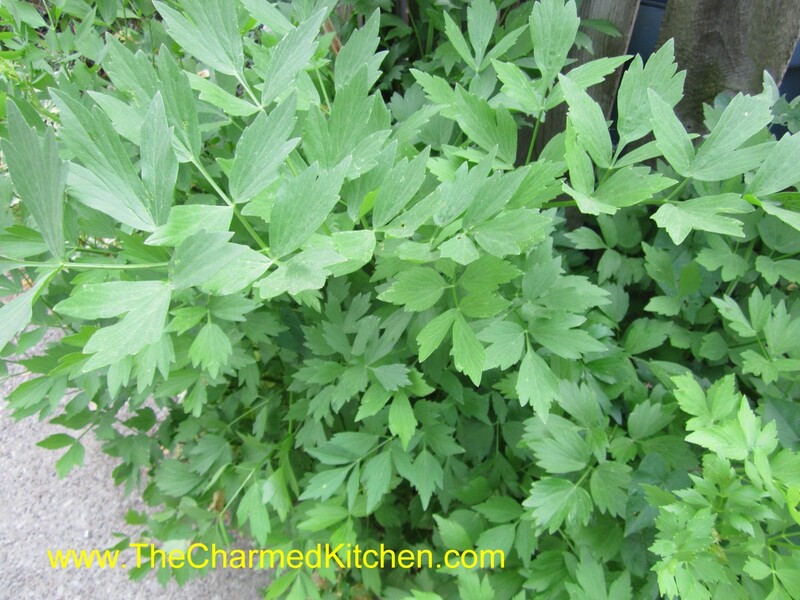 Stir in parsley and adjust seasonings. Serves 8-10. Part of creating new recipes is coming up with names for them. The silly name for this soup stems from something I made when I was a kid. I was making a sandwich with Swiss cheese on toasted rye bread. I put one slice of cheese on the bread and then proceeded to pile up all this lettuce on the sandwich. What can I say? I really like a lot of lettuce on my sandwiches. I cut it in half and was sort of struggling to eat it without the lettuce tumbling everywhere when my father came in the kitchen. He said I had made a honeymoon sandwich, lettuce alone. Get it? Let us alone. It took a second before I got it. My dad was the king of puns. The name stuck. I make lettuce soup from time time. Mostly when I have a lot of lettuce I need to use up. The lettuce actually adds nice flavor to the soup. For this one I decided to add the other elements of my sandwich by topping the soup with some shredded Swiss cheese and fresh rye bread croutons. The combination was really nice- kind of light and satisfying at the same time. Hope you’ll try it. Heat stock and simmer carrots in stock until tender. While carrots are cooking heat butter or oil in a skillet and toast the bread cubes in the skillet. Stir often so they don’t burn. You end up with nice rye croutons. You can just set them aside and add to the soup at room temperature. I prefer to warm them in the skillet right before serving. 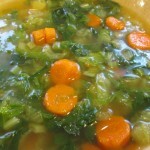 Back to the soup- once the carrots are tender add the lettuce to the stock. It will wilt down a lot and cook quickly. Allow about 3-4 minutes for the lettuce to wilt down. Ladle the hot soup into serving bowls. Top with some shredded cheese and then the croutons. Serves 3-4.